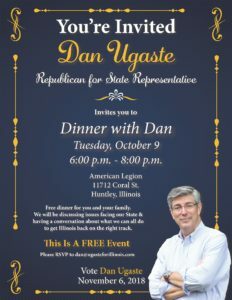 You’re Invited to Dinner with Dan! Elgin State House candidate Richard Johnson received another $123,829 from Illinois House Speaker and Democrat Party Chief Michael Madigan (D-Chicago) between Sept. 6 and Sept. 30, state filings show. 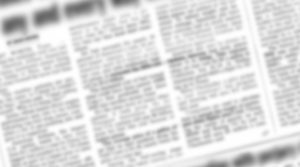 The Madigan funding was disclosed in reports filed with the Illinois State Board of Elections (ISBE) by Johnson… Read more here. A political action committee says the candidacy of Elgin state House candidate Richard Johnson is part of a scheme by House Speaker Michael Madigan (D-Chicago) to keep suburban property taxes high. Madigan is almost entirely financing Johnson’s campaign. He has given him… Read more here. What will the next two years look like? Elgin State House candidate Richard Johnson received another $105,937 from Illinois House Speaker and Democrat Party Chief Michael Madigan (D-Chicago) between Aug. 15 and Sept. 6, state filings show. Read more here.